Bold and bizarre, funny and sweet moments counterbalanced by deeply moving and heart wrenching tragedies, wonderfully choreographed puppetry and some truly incredible lungs on a collection of talented vocalists – The Depraved Appetite Of Tarrare The Freak is a triumph. 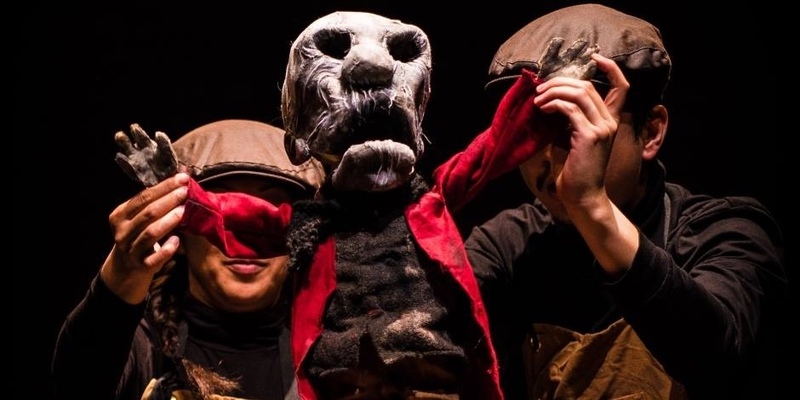 Running on four dates in late January, the Tobacco Factory Theatres hosted renowned Bristol based puppetry company Wattle & Daub for this extraordinary puppet opera that follows the true story of a rather unique 18th century Frenchman, Tarrare The Freak. His insatiable hunger and unusual diet was one of the first cases of polyphagia to be recorded in the history of medicine and his plight offers up a surprisingly tasty (sorry) narrative of pain, love, loss, yearning, betrayal and cannibalism in a majestic performance for which I was completely and utterly transfixed. Brothers Tobi and Tom Poster, the latter a BBC Philharmonic pianist, were behind the adaptation of this dark story, which has subtle moments of brilliance when it comes to humour in amongst others that make you want to scream out advice to the characters or sob into the sleeve of your jumper. The level of detail in the production was a joy to behold and no doubt that comes down to the intensive research into the tale’s origins; for instance, they worked with Dr John Lee, Director of Intercalated BA in Medical Humanities, Bristol University, alongside other academic experts in order to re-enact an 18th century autopsy as accurately as possible. I have to be honest in saying I’ve not frequented puppet shows, my knowledge is limited to Punch and Judy and Sooty and Sweep, so this may sound like a ridiculously cretinous statement to make, but here goes… I got to a point that I forgot there were even puppeteers up on stage due to being truly mesmerised by the craftsmanship and movement of the characters as well as the stunning detail of the set. The music featured in this show is just gorgeous. Tom Poster cites Sondheim, Britten and Bernstein as influences on his score, which used a solo violinist, a pianist and cast of singers (who were also puppeteers). It was beautifully composed and quite simply a joy to behold, which would echo my feelings on the show as a whole. Magnifique! This show will return to the south west at Bath’s Michael Tippet Centre on 10th March 2017 – Details and further information on Wattle & Daub can be found here. For more information about the development of The Depraved Appetite Of Tarrare The Freak click here. Tagged Bristol Puppetry, bristol theatre, Puppet Place, Puppetry, The Depraved Appetite Of Tarrare The Freak, the fix, tobacco factory theatres, Tobi Poster, Tom Poster, Wattle & Daub. Bookmark the permalink.